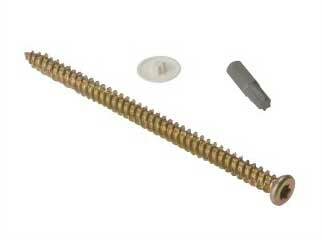 Different materials need to be screwed with different types of screw. 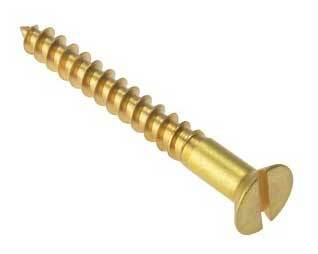 This project helps you make sure that you select the right screw for the job that you are doing. Uses this comprehensive table to match the job you're doing with the types of you should be using. We explain the different types of screws available, where you should use them, including internally or externally, and why so that you can understand the importance of using the right screw. 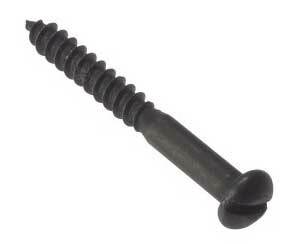 Knowing where to use different types of screws is half the battle and will ensure they hold fast. Different types of screw do many different types of job and as with everything else in the construction industry and DIY world, the job is much much easier with the right tools, equipment and products. Wood screws are great for holding wood but you should not use them for metal. Decking screws are for decking, but not for MDF. 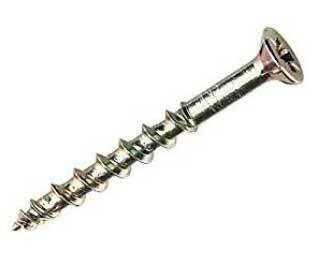 Different types of screw should be used internally and externally in many cases. If you understand why, it is much easier to know what screw you should choose. Another area of confusion is which size screw that you should use, and how to work out this size when the sizes are quoted in metric and imperial measurements! 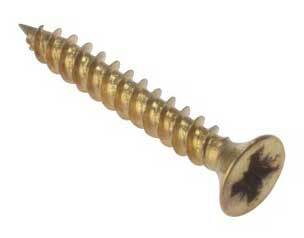 This is a whole different story so please take a look at our table of screw sizes here. Screw sizes vary and generally the larger the number the bigger they are. For example a number 6 screw is much smaller than a number 12. 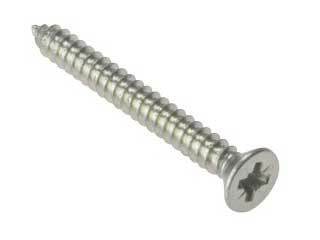 Additonally, there are many types of fixing for all types of material and circumstances so make sure you get the right one to go with the correct type of screw to make the job as easy as possible. It is usually much easier to insert screws when you have drilled a pilot hole. This prevents them from binding. Drilling the correct size pilot holes will certainly make screwing down much easier and help to avoid your timber splitting and also countersinking the heads makes for a much neater job so checkout our countersinking and pilot holes project here also. Use the tables below to work out which screw you should be using for the material (or substrate) that you are working with. If you understand the reason why, this will make it more logical and easier to understand. We Hope! Never try to use the wrong screw. Not only will it be hard to put in but it may not hold for the job you want to do. For fixing methods to various surfaces, go back to the projects section. Fixing to masonry is a popular task and is worth reading up about in our project, as is fixing items to plasterboard, as this may require a little more strengthening behind the plaster board to get a secure fixing particularly if your are fixing something heavy. 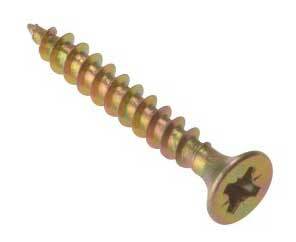 There are a number of abbreviations that are used to describe the type of screw. You can use these to help your search; just put the abbreviation into our shop search bar (in our online store here) and you should get the results you are looking for. 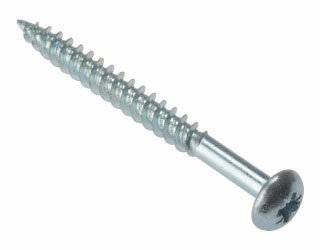 As mentioned above, we do have a project all about the sizes of screws, and how to convert the metric to imperial sizes. This is very helpful, so please have a read, but this project would not be complete without a word on how to select the right size screw for the work that you are doing. There are no hard and fast rules for choosing the right screw length for the job that you are working on but we do have a few guidelines to follow. The screw needs to be long and strong enough to hold the parts that you are fixing together, without going right through and sticking out the other side. Its length will be determined by the forces. 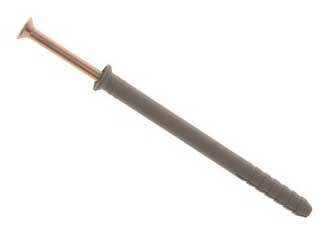 The more force the longer the screw that will be required to make a sound fixing. It also needs to be long enough to get a secure fixing into the material that is being fixed too. The direction of the forces that will be applied to the fixing need to be considered. If the force is lateral, or pushing along the joint of the two materials being fixed, then a thicker screw should be used. When using thicker screws or when fixing brittle materials including some hardwoods, the material can be prone to splitting. Obviously this is not a good thing, so it is wise to drill a pilot hole before screwing in your screw – find out about how to drill pilot holes in the project mentioned at the top of this page. Consider also, the number of screws that you use. 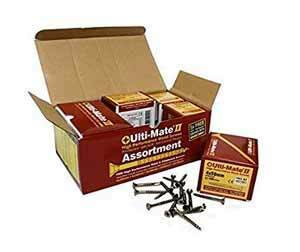 Use as many as you can where warranted, particularly if you are limited, say in the length of screw that you can use. The extra ones added will provide a stronger fixing to make up for the weakness of each individual fixing. 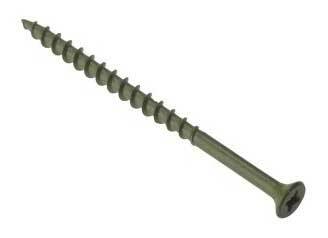 We do not cover the different parts of screws in this project, as we are focusing on helping select the right type of screw for the job of materials that you are working with. To find out about the different parts of screw and the different head and thread types see our project here. 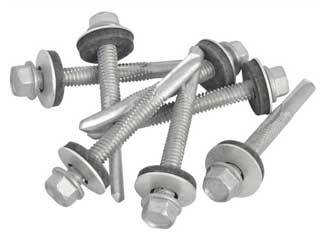 Here we have focused exclusively on screw fixings, but there are a great deal of other fixing that are commonly used. These include using screws with plugs, such as rawl plugs. For more information about the options and which is the right choice of fixing, read our Fixings Project mentioned above. The topic of the different types of screw and how they should be used is a complex one, so we want to keep it simple. The table above will provide you all the information you need to select the type of screw that you need for the material that you are working with. With this information, you will always be able to choose the right one for the work you’re doing.